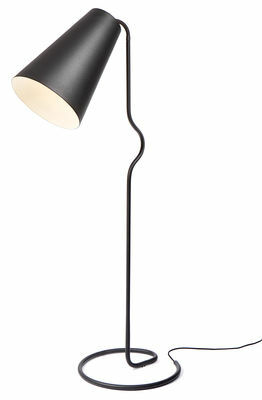 Bender is a large floor decor lamp that also works well as a reading lamp. 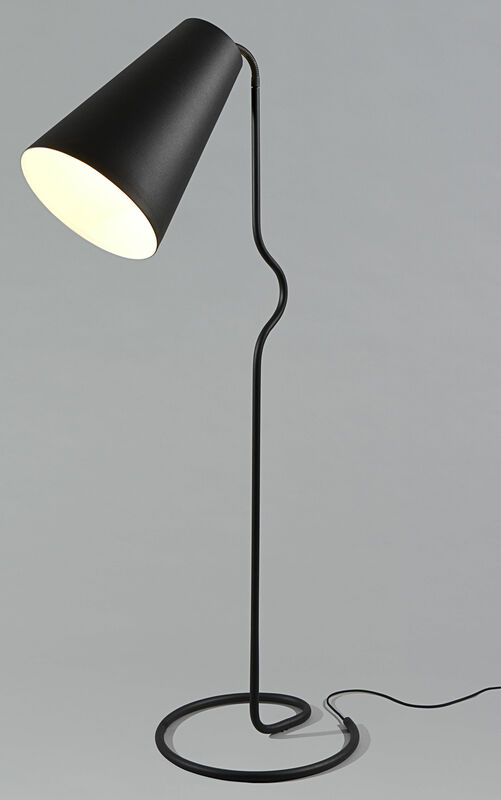 The organic shape of the lamp starts at the floor with the textile wire going from the wall socket towards the lamp base. From there the base bends and curves its way up from the floor, all the way up to the lampshade. 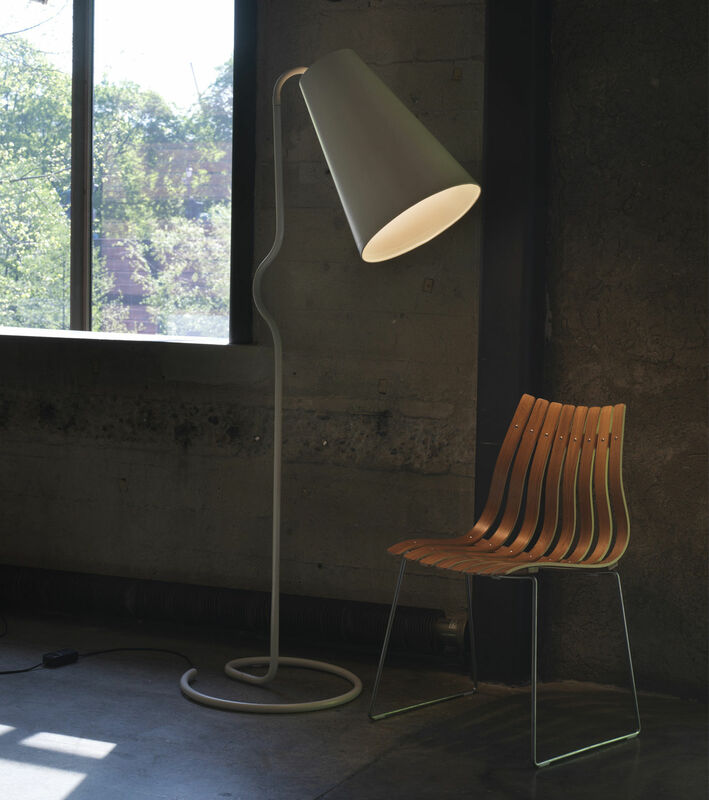 The oversized shade element gives the lamp its recognizable personality and creates a large and focused spotlight. Bender has a matt powder coating that gives the aluminum and steel surfaces a warm touch and sophisticated look. 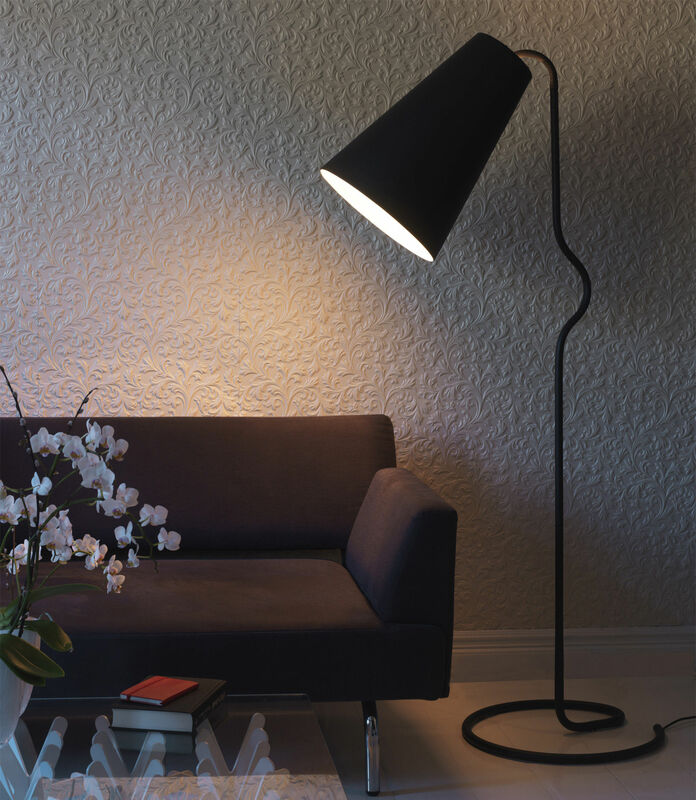 The lampshade is fully adjustable in all directions, making it well suited for a comfortable and illuminated reading experience. Bender is inspired by the often overlooked, but indispensable, workhorse of plumbing: the humble pipe. 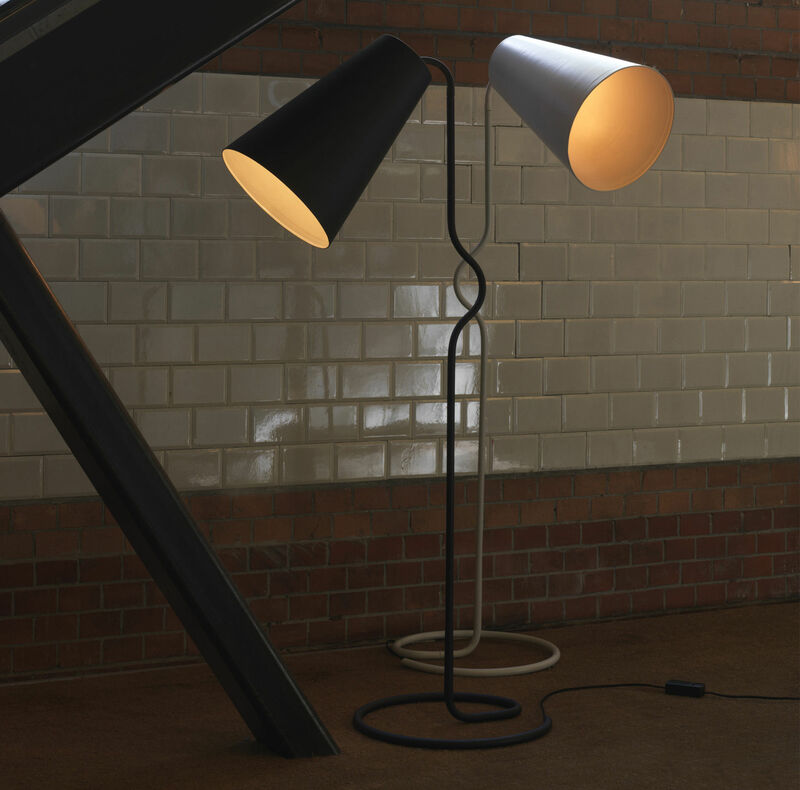 Bender grew out of a desire to utilize one of the simplest elements of production while still creating a lamp with personality and humor.